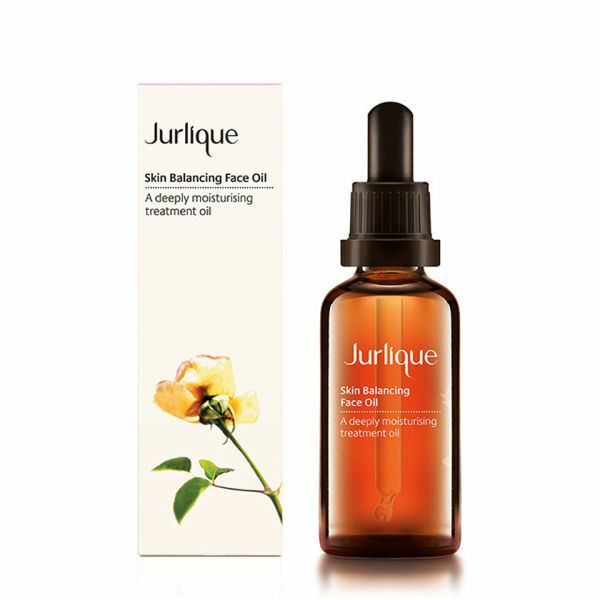 Restore a natural glow to tired, dull or dry skin with the Jurlique Skin Balancing Face Oil (50ml). It's a light yet effective solution to keeping your complexion properly nourished and in optimal condition. The formula has been created using ingredients with proven beneficial properties: avocado oil, safflower oil, macadamia seed oil, rose hip oil and shea butter. They combine to protect your skin from the damage that can be caused by environmental factors, but also improve texture and tone. Put two or three drops onto the tips of your fingers and massage into your face and neck gently; keep going until the oil is completely absorbed.